How to Make your MVP Foolproof? Are you a startup? Do you have an MVP, yet? Is it foolproof? Most startups are born out of a need to solve a problem/issue. It could be anything. It could be a product that makes our daily lifestyle easier, or it could be a service that takes off some of the rigorous tasks from our to-do lists. It could also be an information portal that aggregates information and saves us the trouble of going through multiple channels. So, it can be safely said that most of these products and services are results of a customer pain point that was recognized, acknowledged and hence launched into the market. However, many a time we find entrepreneurs making a mistake that can hinder the growth of their startup. The mistake would be: not taking in the customer’s’ point-of-view in solving the problem. Sure, you are taking up an issue and solving a problem but is it bespoke enough? Do you trust your product/service a 100 percent to create and expand your pool of customers? Do you think you can create an offering that will keep your customers hooked and loyal and not worry about competition, too much? If you have the first mover’s advantage, how to hold on to it for a really good period of time? Indeed, it is possible to achieve all of the above and even more by taking the right steps while you build your startup. An MVP is one of the first steps in giving your startup a relatively strong boost. It specifies your product offerings to your potential customers and investors so they know what they are buying/investing in. 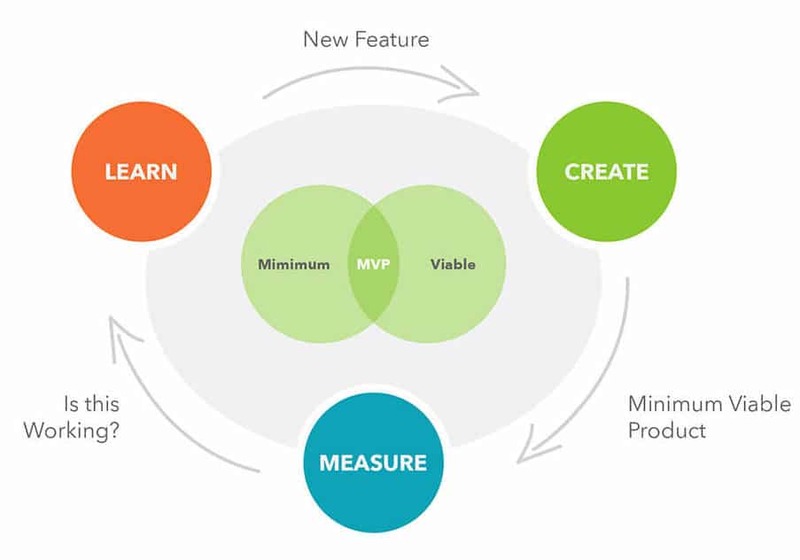 We discussed earlier that once we have an MVP in hand, we need to test it out in a sample pool of customers, who could point out the shortcomings and help us perfect the product. But, there is a stage, even earlier on where you need to connect with a sample pool of customers to ensure you are heading towards the right direction, while building the MVP. Not understanding the issue in the first place might lead you to build a wrong MVP. As a result, customers might not recognize your MVP as a solution to their problem. Understanding what exactly your customers expect from your product will help you in creating an MVP which is actually needed. You must be wondering about how to gather that kind of data or intel. It could be as easy as sending a survey through a newsletter or taking down their thoughts over a phone call. No one can give you a more detailed analysis of the problem they are facing and the kind of solution they would like, other than the customers themselves. What is their current pain point with the concerned product/service/situation? What (do they think) should change in order to make the product/service/situation better? Lifehacks make life simple, but they still are complex to create at first go. People are looking for quick solutions and you can give it to them just by understanding their requirements first. Your product is needed, your service is wanted. All you need to do is find out how you can build an MVP which is foolproof by doing a good groundwork survey first.